We have a cat Mango.? I like to do stop-motion Animation.? I am in the 3rd grade. I have Robosapien V1 and V2. 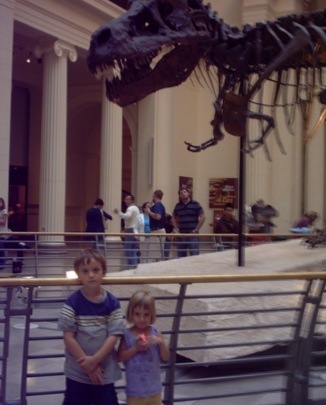 This is a photo of me and my sister Alyssa with Sue(T-rex).My best friends are Charlie “Charlezandria”, Mason, and Rudra.? My favorite band is sum 41.? I have a LOT of legos.? My favorite authors are:Ron Roy,Rick Riordan, and Mary Pope Osborne. I like to do models. Favorite Book: The battle of the labyrinth.